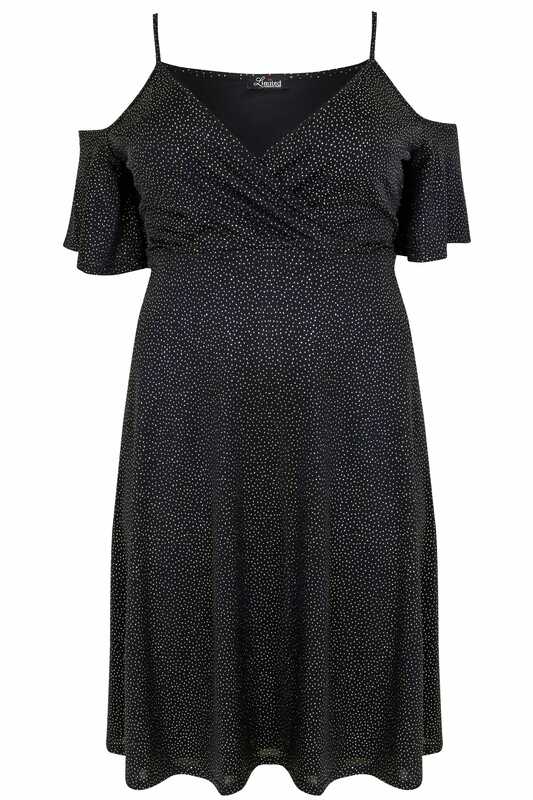 This stylish cold shoulder dress is designed to flare at the waist to create a flattering skater shape. Featuring a wrap over design to the front and holographic glitter that changes colour in the light. Team with heels and a sparkly clutch to complete the look. 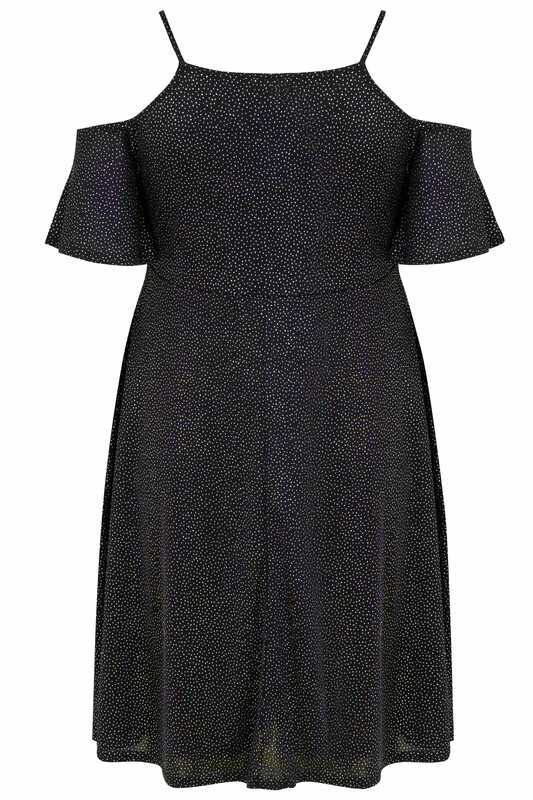 It's perfect for party season! We love the glittery fabric for a festive feel.